The stigma of chronic pain can lead us to persevere and try to push through the pain, only stopping when we cannot carry on. Then the pain flares up and we pay the price! If you have read my blogs or listened to the pain education I provide, you will have heard me suggest that this technique may be good for ‘getting the job done’, and it may be helpful in acute pain, but it is actually counter-productive to regaining greater ease of movement in the face of persistent pain. The theory we have for this includes two key ideas. First, if your protection systems are producing pain in order to get you to stop, but you do not even yield, the system will start to function as if the alarms are not loud enough. Second, your nervous system will learn to get better at whatever it practices. The more it practices creating intense pain, the better it gets at producing intense pain. This idea may have merit, but for many people it is in direct conflict with the idea that our body will grow stronger if we continue to stress it. Actually, this is much more than an idea. It is normal reality. If you want to make a muscle stronger, use it more. If you want to grow more tolerant of an irritating or bothersome sensation or experience, step up to it. Face it. In time, it will bother you less. Try playing a string instrument for the first time, and feel the intense pain from pushing down strings with your fingertips. Keep doing it and your body will adapt, even creating a callous as a protective response, just like woodworkers and carpenters have on their hands and dancers have on their feet. In other words, when you stress your body, typically it responds by being better able to tolerate that stress next time. So why does this positive adaptation not occur in many people with persistent pain conditions? New research provides some clues. It also provides support for what we can do to create positive adaptations in our sensitized nervous systems. Scientists know that there is one part of the brain that is highly important for learning – the hippocampus. They also know that the persistent high levels of stress hormones from chronic stress inhibits activity in the hippocampus. Recently, studies have shown that this area of the brain is one of the few to be able to produce new brain cells. These same chronic stress hormones inhibit new cell formation, and this likely has a detrimental effect on learning new things. So chronic stress is bad, but what about acute stress? At the University of California, Kirby and colleagues* studied the effects of acute stress on the formation of new cells in the hippocampus, and on learning. They used rats, knowing that there are enough similarities in brain functions to make some generalizations from the studies to humans. The rats were stressed over a short period with inactivity. 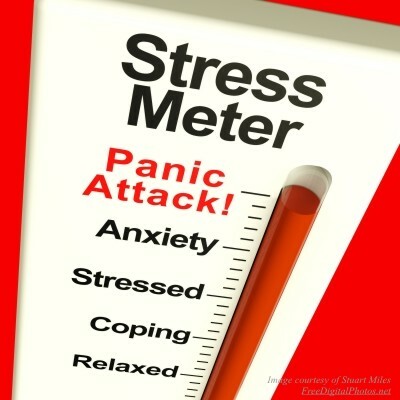 (Yup, this is a stressor.) This temporary stress doubled their stress hormones, and the researchers measured up to twice as many new brain cells in the hippocampus. New brain cells should lead to improved brain function, and that’s exactly what they found. They were able to put markers on these new cells and show that once the cells matured two weeks later, these same cells were used by the rats in a learning task to out-perform other rats that had not undergone the acute stress.